Israel Book Shop presents Chapter 22 of a new online serial novel, Divided Attention, by Esther Rapaport. Check back for a new chapter every Thursday or Friday. Click here for previous chapters. A note landed smack in the middle of Nava’s desk. She shoved it over to the corner and continued to gaze at Morah Dinner, who was explaining the calculations of the days of the Mabul. Miss out on Morah Dinner’s riveting explanations? Not her. Nava didn’t bat an eyelash. “Not now!” Nava whispered back and turned her concentration back to the board, trying to focus on the subject at hand. Rafi had started learning Chumash Bereishis with Abba, in addition to Chumash Shemos that he was learning in class. She was supposed to study with him. The good thing was that Rafi loved learning with Abba, something she herself had never liked. What was the difference? Was it Rafi’s constant need for attention? Was it the special way Abba treated him? Perhaps you should be a bit honest with yourself and admit that Rafi simply likes to learn. He sits and gazes at Abba with huge eyes as he listens to the lively explanations. Sarah had visited yesterday just when they were learning and had observed them from the kitchen doorway. Nava had been offended by the question. Did she really think that they treated Rafi like a circus animal that performed on command? Nava bit her lip. What did it matter? Didn’t normal kids fall sometimes? What was the social worker so worried about? Did she think they abused him in their home? 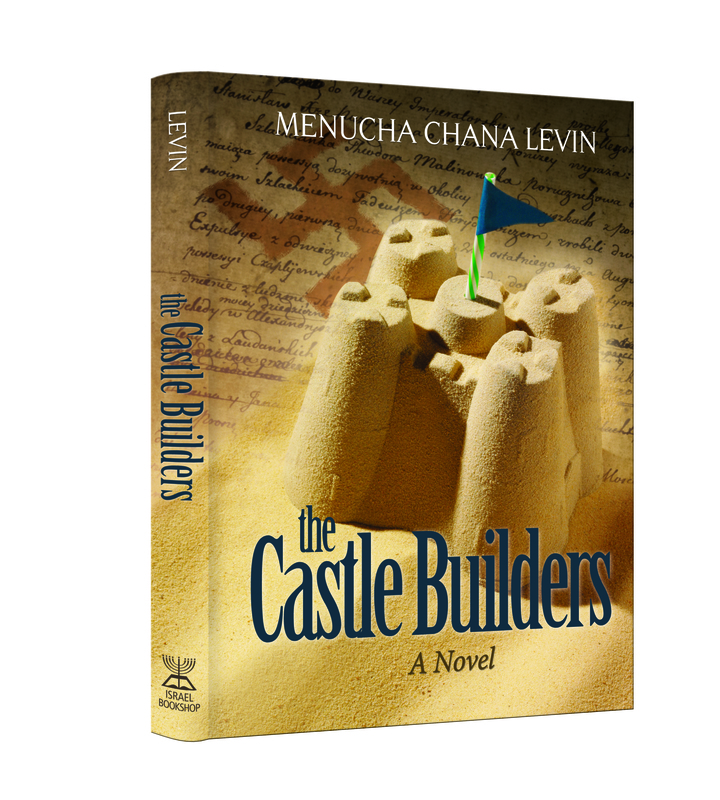 It’s time for a new novel, folks, and this is one novel you won’t want to miss! If you’re looking for an out-of-this-world piece of literature, with a suspenseful plot and very satisfying conclusion, then your search has just ended. Israel Book Shop presents Chapter 21 of a new online serial novel, Divided Attention, by Esther Rapaport. Check back for a new chapter every Thursday or Friday. Click here for previous chapters. “Quietly?” The cacophony around them hardly fit that description. Baruch Perlmutter smiled. “Meaning?” The principal stroked his beard. His expression turned grim as he heard the rest of the story. “How did you react?” he asked the teacher. Okay, ladies, you can calm down. You, over there, you can stop squeezing your stress ball, and you, cowering in that corner, you can stop looking so frazzled. Yes, you’re all going to be fine. Just fine. Really. How do I know? Because IT is coming; it really is. What’s IT, you ask? Oh, only what you’ve been begging and pleading with us for these past few weeks… Yep, the solution to the chaos in your day, the lifesaver so many of you have come to depend on, is about to make its presence known throughout the many Jewish bookstores of the world… It is—drum roll, please—The Balabusta’s Daily Organizer for 2010-2011! For 2 years already, frum women of every type and stripe have come to know and love this amazing organizer, which, though slim and handy, somehow has everything in it. It includes a weekly calendar, complete with Jewish and secular dates and all the Yamim Tovim and (l’havdil) legal holidays, menu planning lists, to-do lists, grocery lists, candle-lighting times in many Jewish communities, tips, and so much more. Little wonder that so many of you have been after us, asking when this third edition would be released! So, get a grip on your life, do yourself a major favor, and pick up a copy of The Balabusta’s Daily Organizer. We’ll accept thank you’s at any time. Israel Book Shop presents Chapter 20 of a new online serial novel, Divided Attention, by Esther Rapaport. Check back for a new chapter every Thursday or Friday. Click here for previous chapters. Manny pulled up at the curb. The large, wide tree had lost all its charm. It stood there black and sooty, its blackened, leafless branches stark against the winter sky. Dozens of children stood at the base of the tree, pointing and waving animatedly. A curly-haired boy ran over to them, shouting something at Rafi, who shrank back and put his hand on the car. “What happened over there?” Manny asked, pointing at the swarming yard. “Oh,” Rafi said expressionlessly, and without smiling, he waved at the man behind the wheel and walked through the gate beside Meir Cooperman. “How do you know?” Meir asked, also touching the black face. After a light knock, the door of the third grade classroom opened and the principal gazed at the students with his warm brown eyes. Rafi’s hands automatically closed the chumash in front of him. If you are a student (or the parent of one), you know that once Sukkos is over, you’re in for the big haul—a l-o-n-g winter filled with tests, homework, and term papers, with a grand finale of midterms for dessert. Not really anyone’s idea of fun, huh? Unless you’re like Libby Simons, of course. Libby is the model student, the one who actually enjoys schoolwork and does excellent in her studies, too. The genius of her class at Beit Tzofia’s boarding school and the envy of all the other girls, it’s only natural that Libby should have a wonderful and smooth year there, right? But…not quite. (You knew that would be the answer, didn’t you?) You see, Libby has an aunt like Doda Batya in her life, and she’s been living with her since she was very little. Doda Batya is…well, Doda Batya! Overprotective and eccentric, while she loves Libby dearly, she hasn’t exactly been able to provide Libby with a regular childhood. Because of this, Libby has never really had any friends, and she had been looking forward to attending boarding school and having a fresh start for this very reason. As you may have guessed, things are not so simple. Libby has a long road ahead of her, filled with lots of ups and downs, exciting news, a disturbing mystery regarding disappearing books, and then a very frightening experience, until things become straightened out and clear for her. Follow Libby on this road to self-discovery in this heartwarming and suspenseful book. 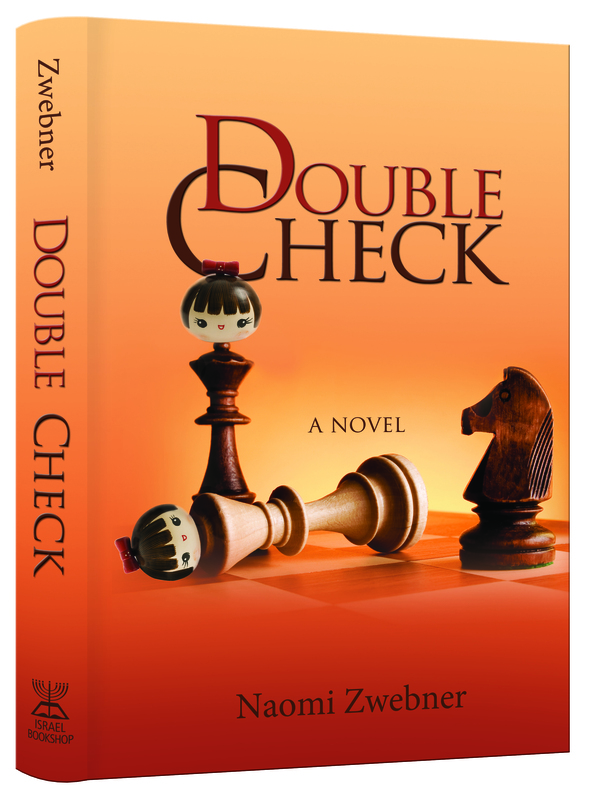 Double Check is a book you will enjoy reading to no end, and best of all, it will give you that welcome break you are craving for during the upcoming winter months! Israel Book Shop presents Chapter 19 of a new online serial novel, Divided Attention, by Esther Rapaport. Check back for a new chapter every Thursday or Friday. Click here for previous chapters. We have to be at peace with our decision, Nava’s father said to himself as he turned the wheel. Especially since you’ve consulted the rav. Yael had been right after all. The child would learn here for the time being, and when he would advance, they could move him to a regular Talmud Torah. If we want to go far, we have to start at a slow pace, especially since his Torah knowledge was extremely scant for a child his age in a normal cheder. Here, at least, many of the children came from backgrounds similar to his. Rafi crept out, moving in almost slow motion. He kept glancing at the building warily, especially at the big tree in the yard. Something about this place was very familiar, but he wasn’t one hundred percent sure. There had been a yard, a tree and a small window there, too. How many details had he absorbed during those cold, dark nights? Almost nothing. Maybe it was just coincidentally similar.